Now is the time to make your end of the year donation! We would love for you to choose to support Susquehanna Service Dogs. Below is a list of ways you can support us this holiday season. 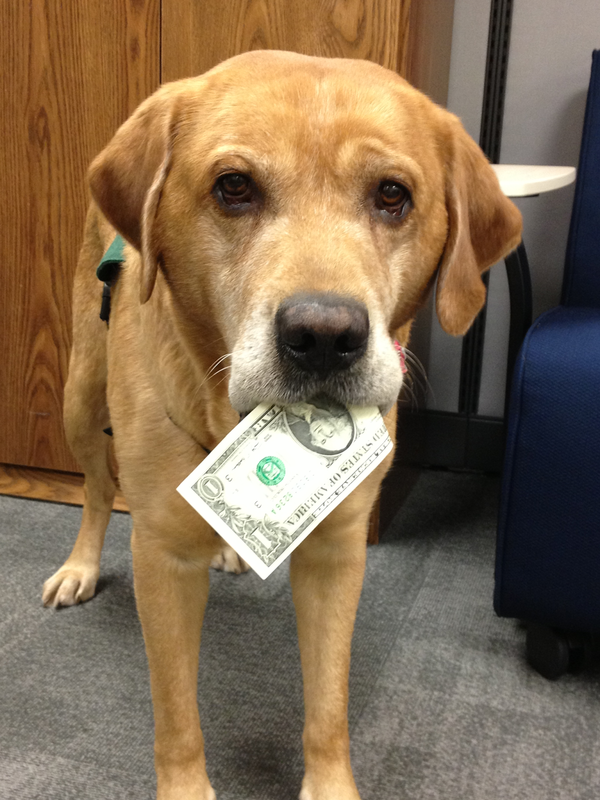 Or you can simply make a donation to help our service dogs change lives. Help us fill "Rudy the Red Van" with items for our puppy raising program! You can find our full wish list here. The red van will be parked at the SSD Complex for the entire month of December. You can drop your items off at 1078 Gravel Hill Road, Grantville, PA 17028. For a $200 donation, you can provide all of the items that are given to a partner when they complete Team Training with their new service dog. 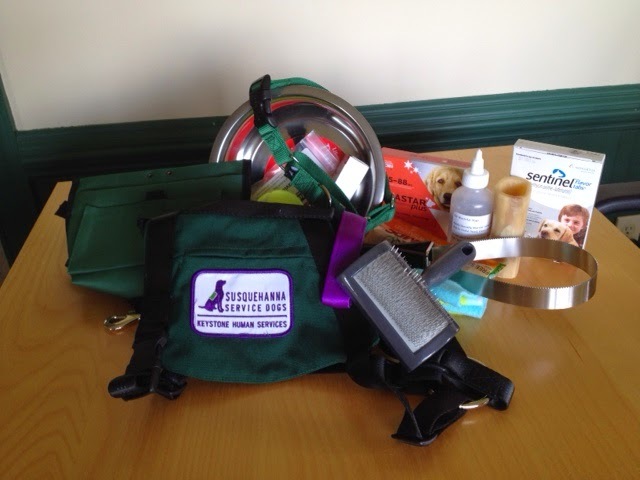 Items include a leash and collar, treat pouch, clicker, food bowl, nail clippers, shedding blade, and more. Donate now or call 717-599-5920. For a $100 donation, you can provide a harness for a service dog to wear in public with their partner. Donate now or call 717-599-5920. Wondering what to get that person who has everything? Why not give them the right to name a future service dog puppy? for $1,500, you cna name a dog that will make all the difference in a person's life. Donate now or call 717-599-5920. Fill Rudy the Red Van! These service “reindeer” are waiting for you to fill Rudy the Red Van! For the entire month of December, this red van will be parked at the Susquehanna Service Dogs complex in Grantville, PA. We’re hoping to fill it full to bursting with items for our puppy raiser program. Help us fill the red van so service “reindeer” like Nitro, Newman, Hank, and Bridge can fly off with their new partners and change lives. You can drop items off at the SSD complex at 1078 Gravel Hill Road, Grantville, PA 17028.